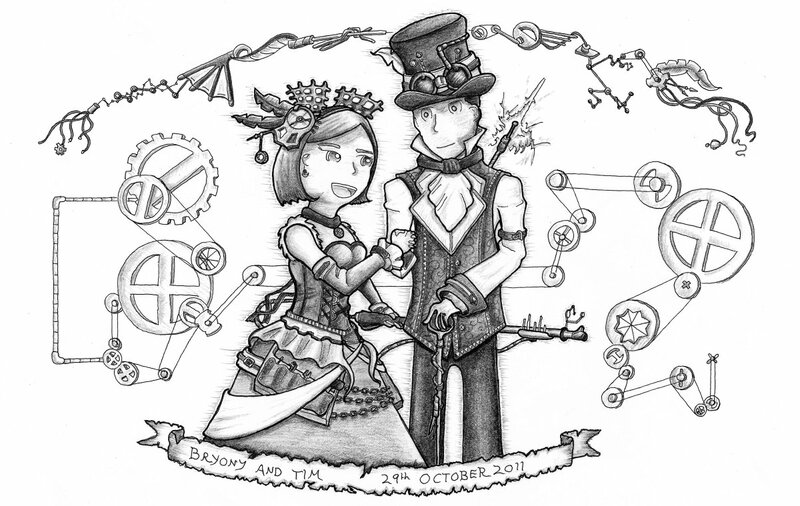 I drew this image as a wedding present in 2011, as the invitation specifically asked guests not to buy presents. The image was drawn on nice printer paper with a single 2H mechanical pencil, inks were applied with a range of staedtler pigment liners. Shade was added with the same 2H mechanical pencil.